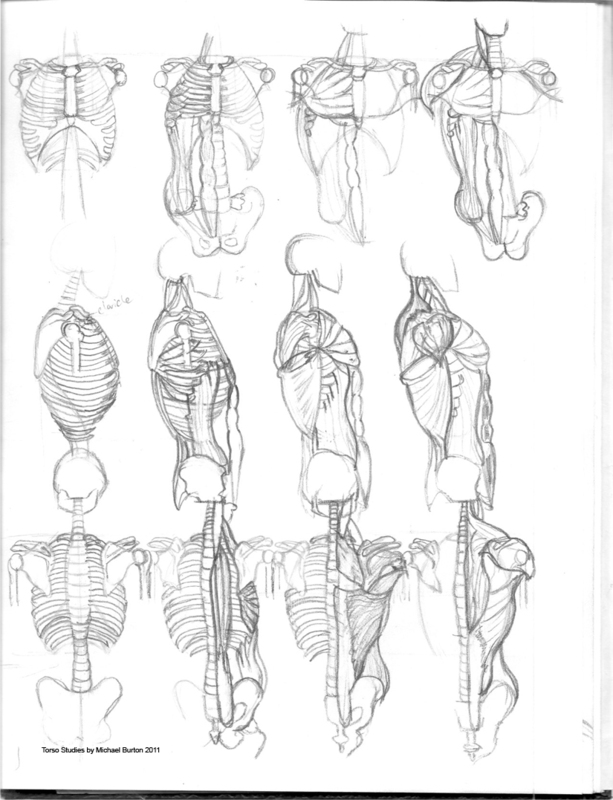 This is the last installment of the mini anatomy studies on 8.5 x 11″ sketch paper. I used the Riven Phoenix method of general measuring and used Rubins anatomy figure drawing book to ge a more accurate depiction of the bones and muscles. The next stage will be to draw the human skeletons on larger paper; maybe 18×24″ to really get the smaller details that I would like to get to. This is the second stage of the leg bones and muscles. 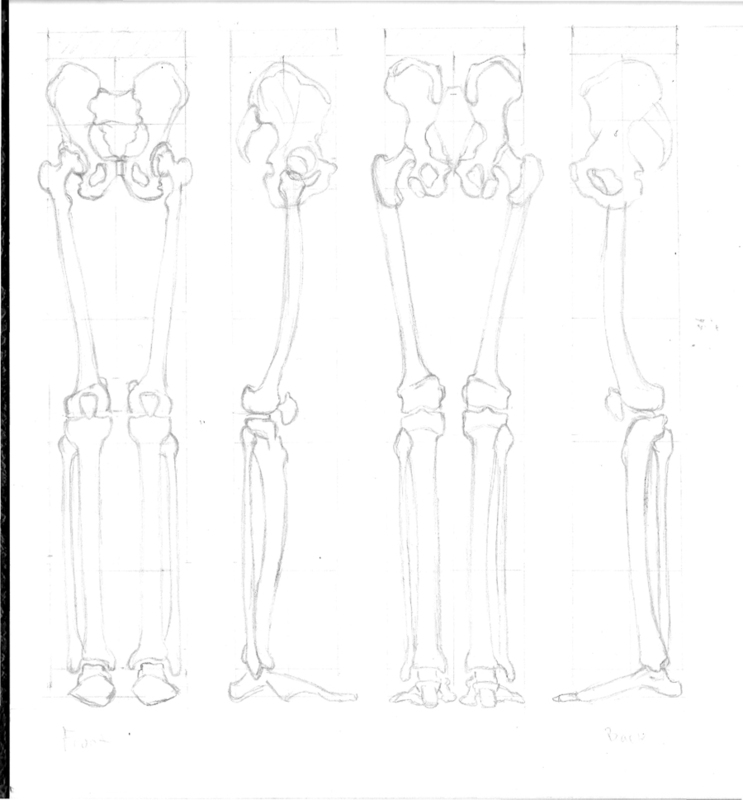 I studied Riven Phoenix and Rubins Anatomy book. Note, this is a small study, only 8.5″x11″ cropped. 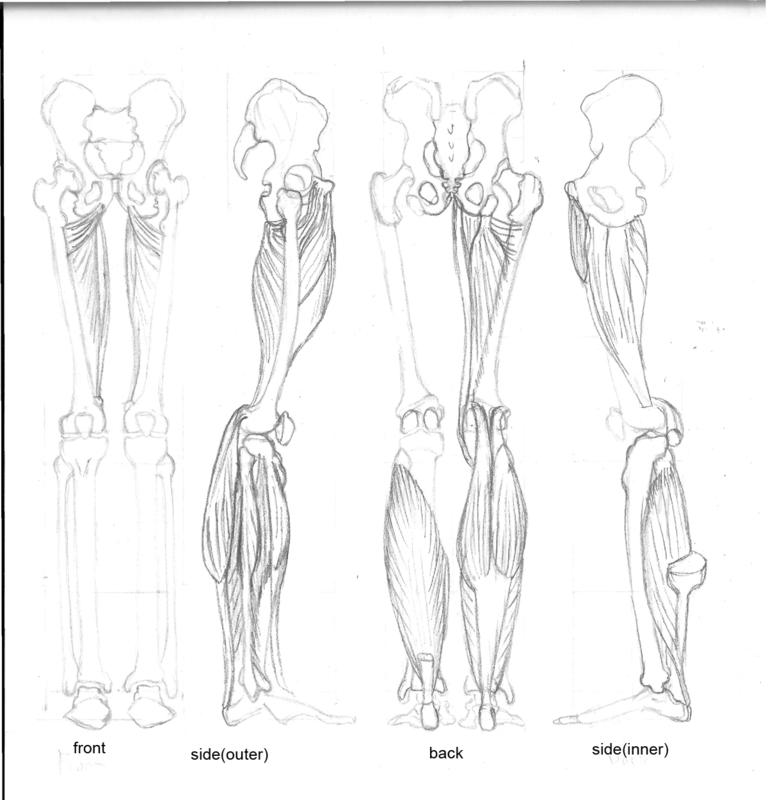 This anatomy installment will break down the leg bones and muscles. 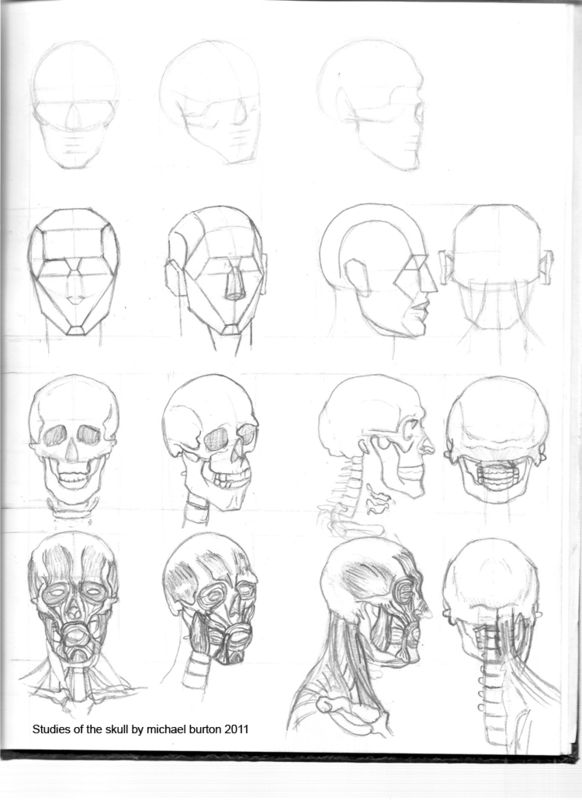 I tormented myself again by working very small on a 8.5″x11″ sketch book; which made it challenging to draw a lot of small detail and tendons that attach to the bones. 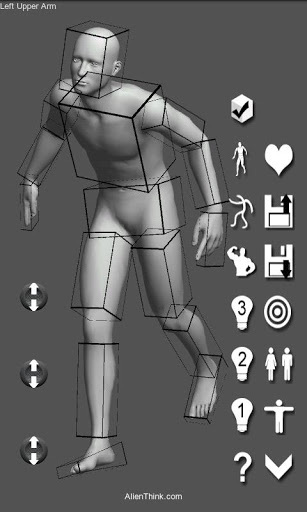 The first stage is finding general proportions based on a 8 head figure. 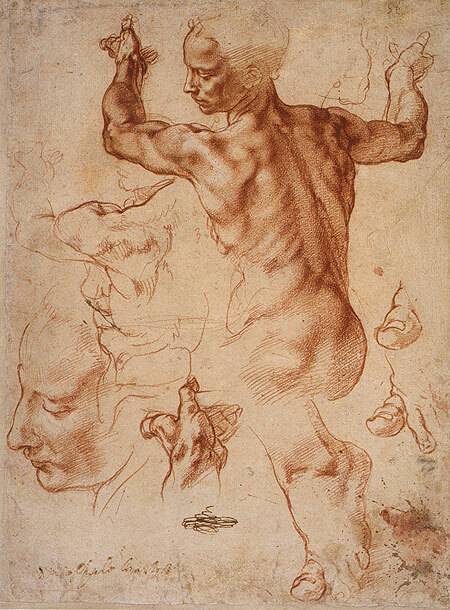 I used Riven Phoenix system on proportions, but studied actual anatomy from Rubins figure drawing book. One last note; I will try to remember to adjust the foot proportions before I post the last section. 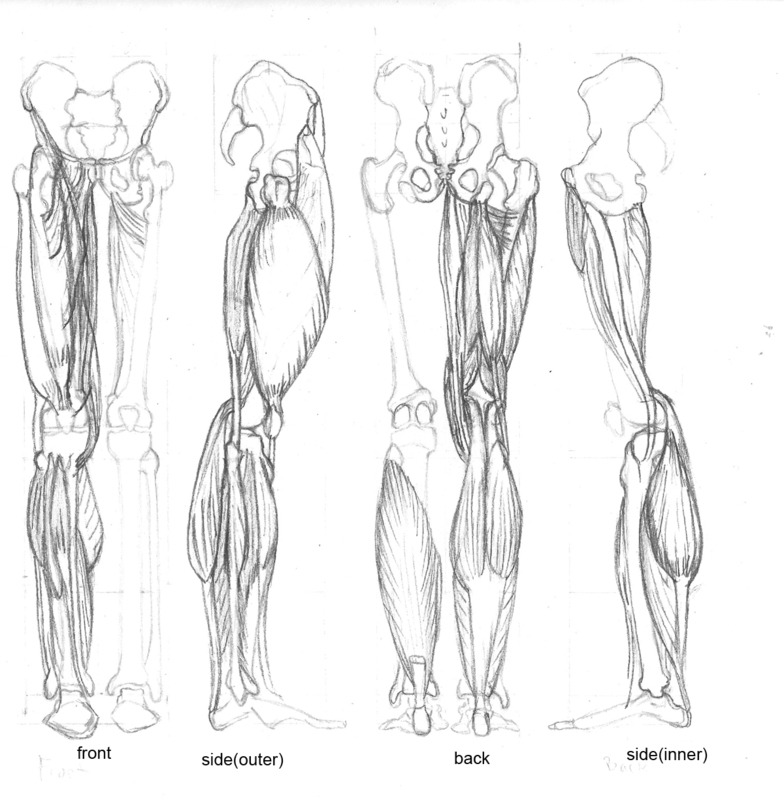 Here is the third anatomy installment of the re-visited series. 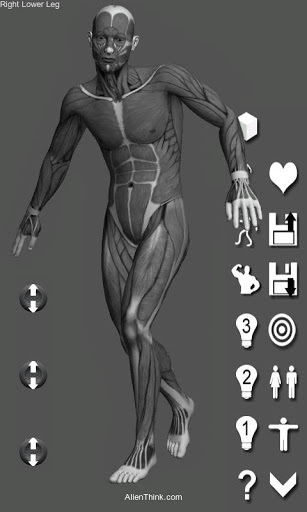 the arm is complex and has so many layers of overlapping muscles. 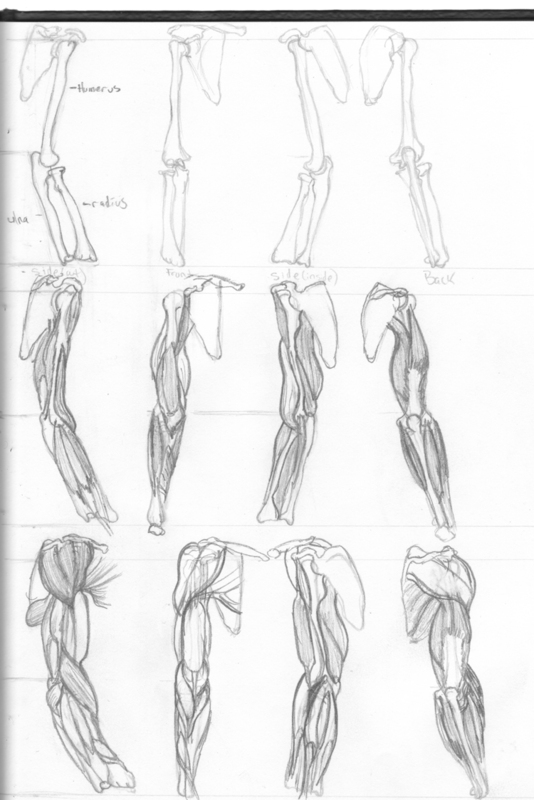 I decided to do a 8.5×11 inch page filled with various angles of the arm, including the muscles. 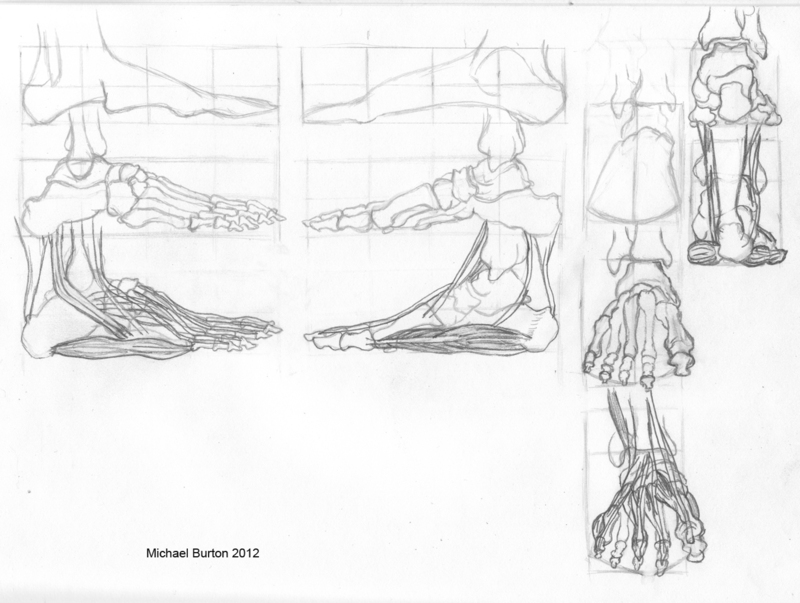 Again, I plan to do larger more detailed studies of the anatomical parts of the body after this series. 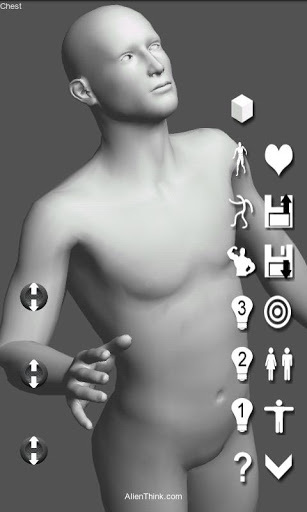 Take a look at where the bones curve at the halfway mark(if you divide the arm in half).